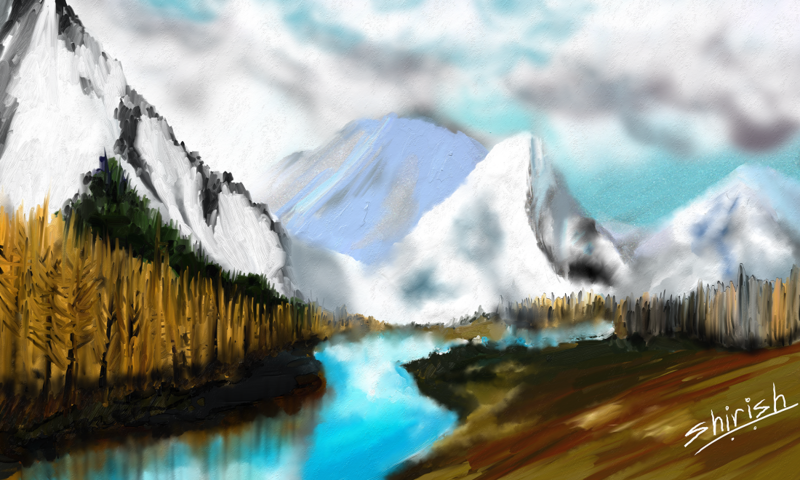 The Beauty of Snowy peaks, in all their glory. 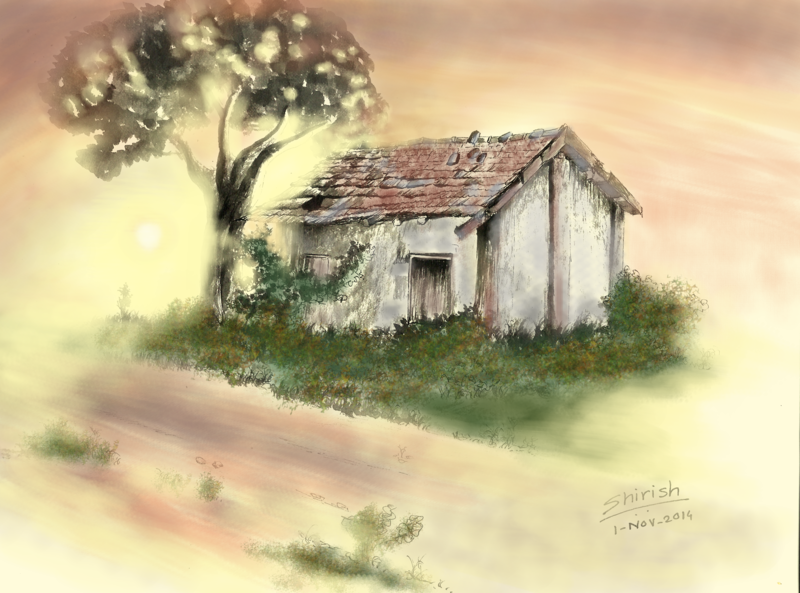 Done in ArtRage Studio Pro. 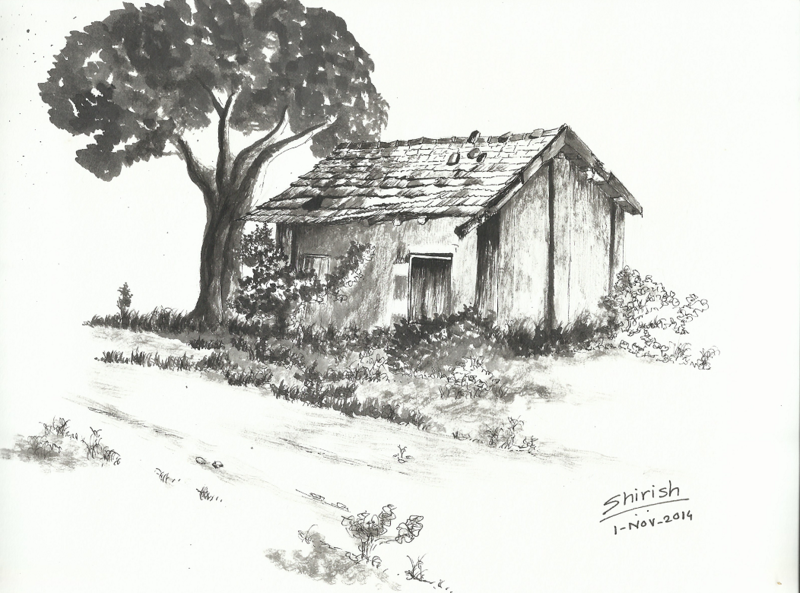 Digitally tinted this pen and ink sketch I did of an abandoned house. 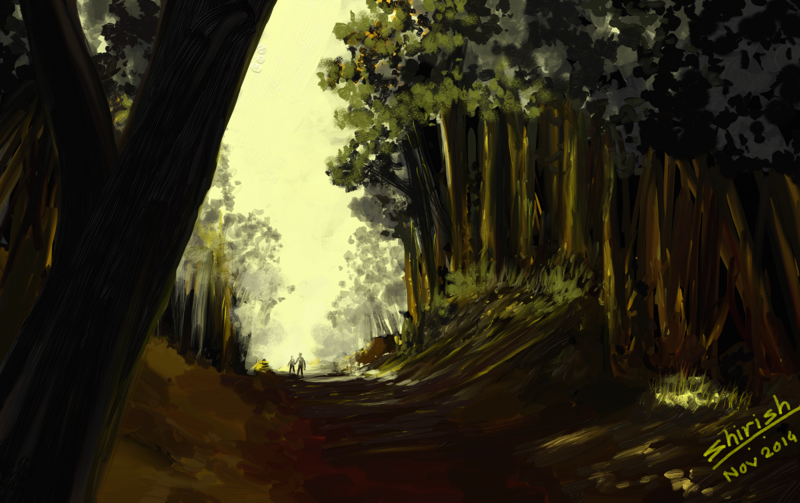 Colored in GIMP. 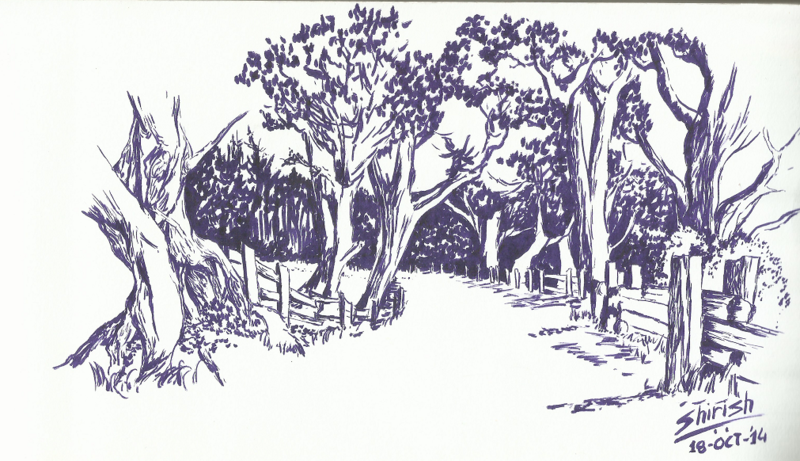 Path in the field – Drawn using Brush pens. Some reference photos from web used. 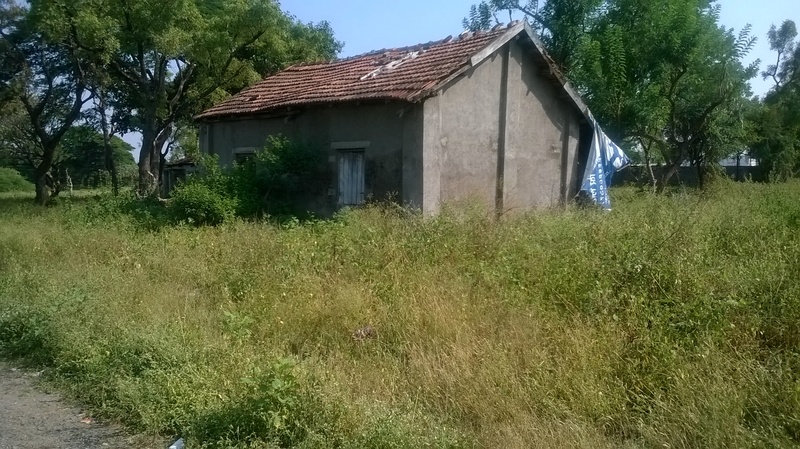 I keep passing by this abandoned house every day while returning home. Yesterday I stopped by and clicked some pics. This is the rendering in Pigma pens and Artist’s black ink (using watercolor brush).